I have continued to think about necessity and want to expand the question to incorporate thoughts of excellence. Something Epictetus said sparked the thought: Be not elated at any excellence that belongs to another. We do not have any “excellence benchmarks” in CRM as far as I know, so I doubt anyone has grounds for elation in comparison to others. If you have measures of CRM excellence, I would appreciate seeing them. Since most of my time is spent on CRM related projects, what the Stoics said made me wonder about using CRM to achieve Operational Excellence (OE). I have been striving for OE for years now and once had an organizational role to manage OE. That work was not just with control rooms and controllers but was an overall company strategy. We worked on responsibilities, authority and accountability; HMI usability, shift change, fatigue management, alarm management, change management, incident analysis, lessons learned, training and procedures, compliance, and error management. I was convinced those “human factors” areas were necessary, and this was 14 years prior to the CRM regulations. 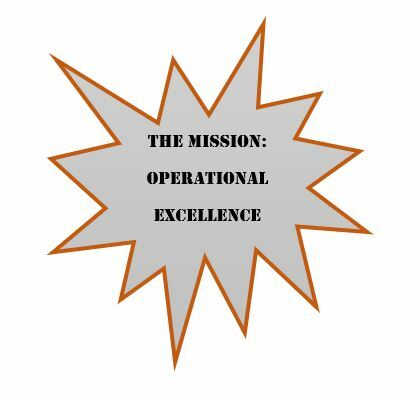 Human factors are vital to achieve my definition of operational excellence – no spills, no leaks, no errors. I believe CRM implementation is necessary for operational excellence and it requires continuous attention. Maybe asking how you are doing with CRM every moment is not necessary, but some people ought to be answering that question regularly. One of the challenges is to get people to think about achieving excellence, instead of being elated with minimal compliance. People and companies already think they are pretty, dad gum good. One of the reasons for that belief is that we compare ourselves to the companies that have the most spills, leaks, and errors or the company that had the most recent major pipeline accident. We make ourselves feel better by saying, “Thank God, we are not as bad as [fill in the blank] company!” Even companies with recent accidents think they are good enough, and the accident was just a rare anomaly. Hardly anyone is as good as they think. Another reason we think we are good is that our standards are low. It is similar to the sentiment in the country song; “I’m living up to her low expectations because they’re high enough for me.” We ought to set a high CRM standard, with great expectations for high performance. Then we should develop and implement programs to meet the high standard. When the standards have been set, things are tested and weighed. And the work of philosophy is just this, to examine and uphold the standards, but the work of a truly good person is in using those standards when they know them. As a philosopher, I want to examine and uphold high standards. Do you? As consultants, we want CRM program standards to be set high, and regularly tested and weighed. Do you? We want people to know and to use the high standards. Do you? Will you do the work of a truly good person now and in the years to come? Be good and achieve excellence.